In 1997 I was a very different man. In spite of being coll ege educated (and graduating in 6 months)—being engaged to my wife Kim and awaiting our marriage in a year and half—and having job at G.M. waiting for me, I was about to take my life. On February 22, I cut from class early having had enough of the demons filling my life with misery and wicked thoughts. I did not want to hurt anyone, but the voices would not stop. Like many I was on anti-depressant and anti-anxiety drugs (Here’s a newsflash: they did not work and made the issues worse). Is it too far to say the voices (real demons speaking lies) in my hear, were trying to kill me? Not in the least . My decision was to end my madness and pain, following the voice in my head. In the home of my parents, alone and with the implement of death in my hand, I was moments away from saying hello to “heaven”. One voice spoke through the madness and demonic oppression. It spoke more clearly than anything I had ever heard to up to that point of my life… “If you kill yourself, you’ll meet God as a murderer”. That one statement was enough for me to put the weapon of death away, and called for help. How was it that a lost and utterly desperate man, with zero knowledge of God’s word, knew suicide was murder with such certainty that it made me fear God enough to not kill myself? I knew because God was present in that moment and He spoke. I knew because He had placed His moral stamp on my soul before I was born; same as He does in all men and woman. Thank God for His intervention through one thought. Sadly, while I was thinking on committing suicide as a young man, I never heard any person declare that it was inherently evil, a sin that could have separated me from God forever. “We don’t know what’s in their minds when that happens, maybe they are mentally ill”. Ezekiel 3:18 (NKJV) When I say to the wicked, ‘You shall surely die,’ and you give him no warning, nor speak to warn the wicked from his wicked way, to save his life, that same wicked man shall die in his iniquity; but his blood I will require at your hand. Ezekiel 3:20 (NKJV) Again, when a righteous man turns from his righteousness and commits iniquity, and I lay a stumbling block before him, he shall die; because you did not give him warning, he shall die in his sin, and his righteousness which he has done shall not be remembered; but his blood I will require at your hand. 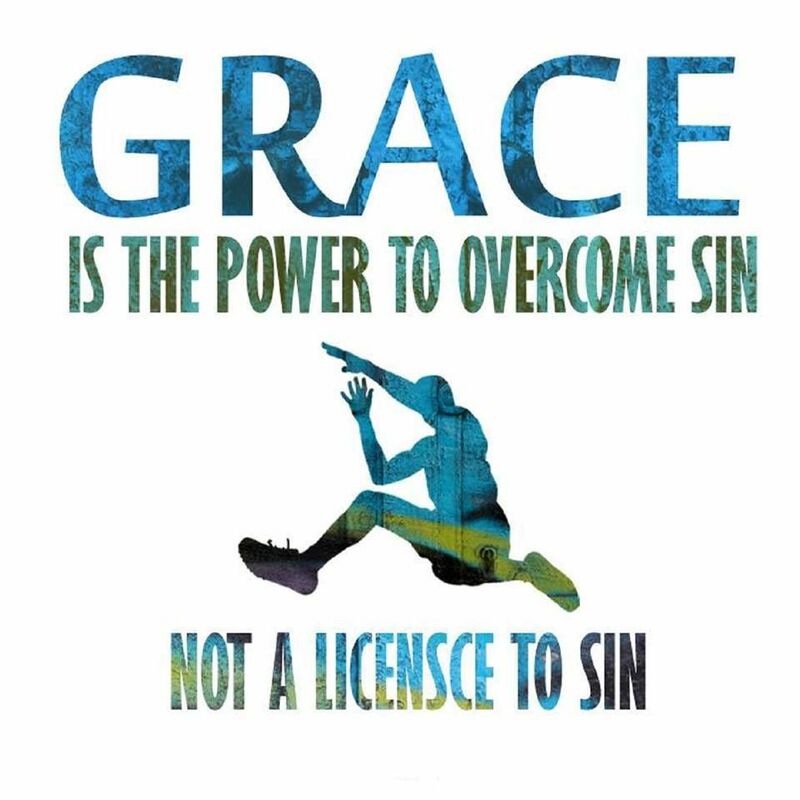 Some many cry foul being that the above passages are from the Old Testament, and that grace covers the sin of the righteous, lets remember that grace given in the cross does not permit unrepentant sin (Read Romans 6:1-4). In fact it declares we can and must choose not to sin. If we do sin we must seek forgiveness through confession and repentance. Consider I John 1:7, 9. 1 John 1:7(NKJV) But if we walk in the light as He is in the light, we have fellowship with one another, and the blood of Jesus Christ His Son cleanses us from all sin. By grace our sin is continually forgiven should we remain walking in the light with other believers—confessing our sins—and holding to the promise of God’s forgiveness and cleansing of the sinful patterns of our life. The point being, to willfully commit a sinful act which cannot be repented of, places the person in a state contradictory to God’s grace concerning His forgiveness. This is the problem with suicide. How can one repent of self-murder if they are dead (it is appointed for men to die once, then the judgement)? This is where we need to fall on this issue. We are so afraid of being seen as unloving, that we are being unloving by not speaking the truth. Here are some truths to be considered. Suicide is to be a manslayer, and the reason does not matter, it is simply a rebellion against God’s moral law, which cannot be repented of (Genesis 9:6; Exodus 20:13). When dealing with people who are outside of Christ, this should not be all that difficult to understand. God places eternity in every man’s heart (Ecclesiastes 3:11). This eternal sensibility deals with not only the realm of eternal bliss, but the reason for that bliss, which is God’s presence through the Lord Jesus Christ. We have already affirmed the unbelieving world’s view of heaven (which is a demonically instituted lie) is one where we rest in peace, or party or simply exist without any knowledge of God. For a lost person to kill themselves is to declare God or “heaven’ must accept me on my terms. In God placing eternity in the heart of every man, we understand this not olny means knowledge of eternity in bliss, but also knowledge of Himself and His moral law (Romans 1:19-23). It is for this reason man is without excuse concerning any unrepentant sin, whether they hear the Gospel of Jesus Christ or not. To commit suicide for an unbeliever is to die in unbelief. Yet in dealing with followers of Jesus we must not minimize the sin of unbelief, which the book of Hebrews declares to be a real potential in every believer’s life. This potential is loaded with faith and relationship to God killing power (Hebrews 3:7-4:3). Unbelief is described as hearing the word of God, but not mixing it with faith or belief; biblical belief (or faith) is not merely mental assent but, responding with action commensurate to what is believed. In the case o f a Christian who commits suicide—they deny that God is the God of life (Psalm 31:15; Matthew 22:32)—they deny that God works all things together for the good of those who love God and are called according to his purpose (Romans 8:28)—they deny God’s sovereignty and the Lordship of Christ, whom bought us through His precious blood and would never command us to kill ourselves (Genesis 9:6; Deuteronomy 32:39; Romans 8:9, 10:9-10)—they deny the Blessed Hope of the Church the great and Glorious appearing of our Great God and Savior the Lord Jesus Christ (Titus 2:11-14)—they deny God’s command to persevere unto the end, even if it means another takes our life for our witness of Jesus Christ (Matthew 24:13; Revelation 12:11). In dealing with suicide as the pinnacle of unbelief, we must regard how we talk of self-murderers and “the burden they carried” and “you don’t know how much pain they were in” or “they were such a wounded soul” or even “you know they had a mental illness”. These “thoughts” are not noted in mockery (I understand them from personally experience), but even these have answers in Christ. He is the One who brings us peace of heart in mind if we focus on Him (Isaiah 26:3; John 14:27; Philippians 4:6-7). Consider for a moment, the possible mental state of a Christian in prison and on death row in Pakistan. Refsuing refusing to renounce the name of Jesus Christ, she holds fast to her faith. For seven years she has lived in a dark cell, infested with and eating only what supportors are allowed to supply her with. She never is allowed outside and has been in constant threat of violence against her person. She has only seen her three daughters and husband a few times in seven years. The courts won’t hear her appeal, so she is waiting her death by natural causes or execution. How is she not offing herself? How is she not succumbing to depression, PTSD, wounds, pain and her carnal desire to escape her pain? Psalms 27:13-14 (NKJV) I would have lost heart, unless I had believed that I would see the goodness of the Lord in the land of the living. Wait on the Lord; be of good courage, and He shall strengthen your heart; Wait, I say, on the Lord! This entry was posted in Chris Cornell, christian response to suicide, Christian suffering, self-murder, sin of self-murder, Soundgraden, spiritual sickness, suicide, Temple of the Dog, Uncategorized. Bookmark the permalink.